#IPRAYED—The kindergarten students in teacher Deborah McVey’s class at Transfiguration School in Tarrytown fold their hands in prayer on Ash Wednesday, March 6. Catholic school kids in the archdiocese are practicing the virtue of daily prayer during the 40-day season of Lent that began Ash Wednesday, March 6. They’re seeking to amplify their prayers by harnessing the power of social media in a campaign called #IPrayed. The idea is a simple one that puts a faith-based twist on the ubiquitous #IVoted campaign on Election Day last November. Each time a student prays, they can log the prayer on Twitter with the I Prayed hashtag. Judging from the postings on Ash Wednesday, a good number of Catholic schools in the archdiocese were praying and posting, including the kindergarten class at Transfiguration School in Tarrytown; fourth-graders at St. Patrick’s School in Bedford, who prayed the Way of the Cross together and then watched a related program from EWTN; and the student body at St. Rose of Lima School in Washington Heights, who were led in prayer by one of the seventh-graders. 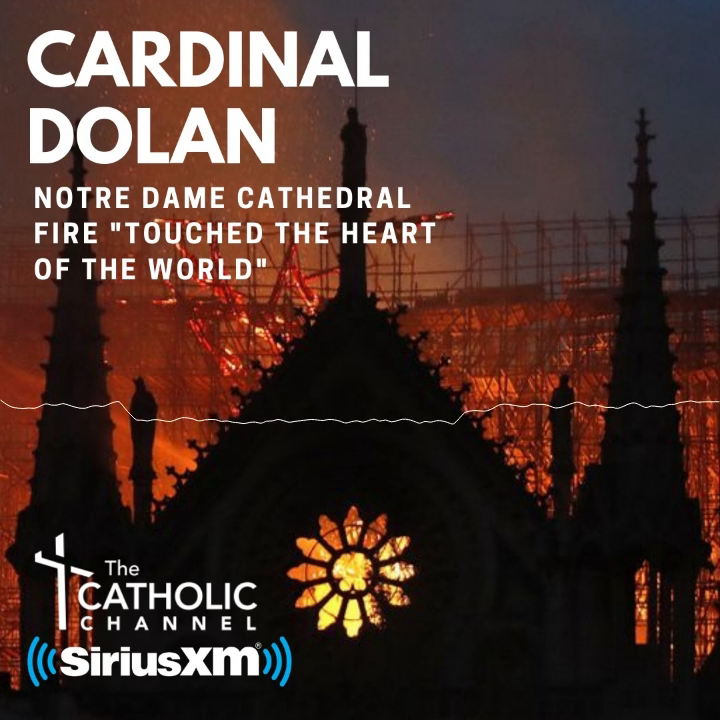 Many of the Twitter posts tagged @Cardinal Dolan as well as the Catholic schools in the archdiocese, and a couple tweeted at CNY. The cardinal shared a short video expressing his support for the campaign and offering suggestions to students and others who want to participate. He said they could post #IPrayed after their prayers to start the day, when they offer grace at meals with their family and after attending Mass on Sunday. “I pray you have a blessed and holy Lent,” the cardinal said. The simplicity of #IPrayed is a large part of its appeal. You can also see some other positive attributes in the campaign. Just as bad habits develop over time, it’s possible to acquire good habits in the same way. As the kids pray each day, even multiple times, and then log the prayers online, they are reinforcing a good habit. For the young, and the not so young, participating in online activities is as natural as breathing. Youngsters who are too young to log in by themselves can rely on their teachers and parents for guidance and support. Even though the campaign is called #IPrayed, the school participation means that it’s not just individual students, but classes and entire student bodies. In other words, the kids are part of a community that is praying together. That positive reinforcement from their friends, teachers and family members will help the campaign flourish, and help the kids grow in their faith. There are also natural additions to a campaign like #IPrayed. It could most likely be expanded to include parish catechetical programs, youth ministry groups, young adult groups and parish communities, among others. In the meantime, I’m curious to see how this year’s campaign turns out. TJ McCormack, director of communications and public relations for the archdiocese’s Office of the Superintendent of Schools, told me there are plans to continue the rollout of #IPrayed as Lent progresses. One initiative may involve asking high school students to take the lead with some of the postings. Seeing the students at prayer is also a great natural form of evangelization as they go beyond their own families and schools to share their faith.